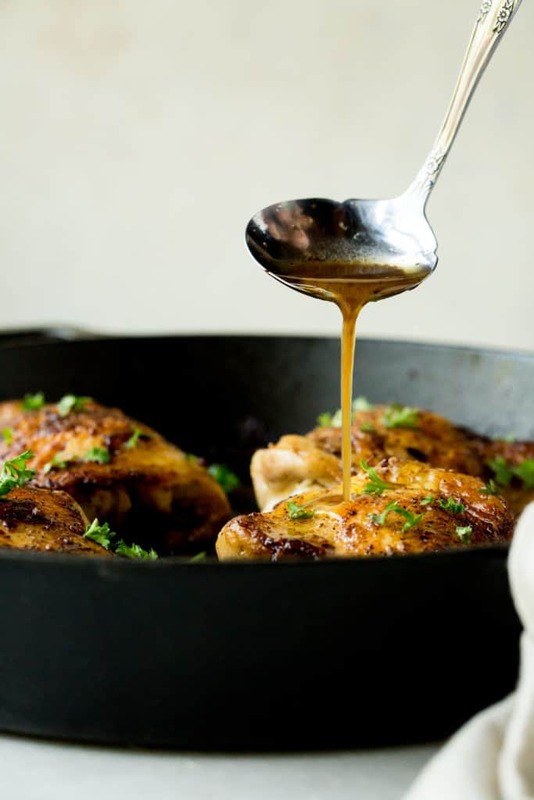 One Pan Chicken Thighs | Lemon Sauce! 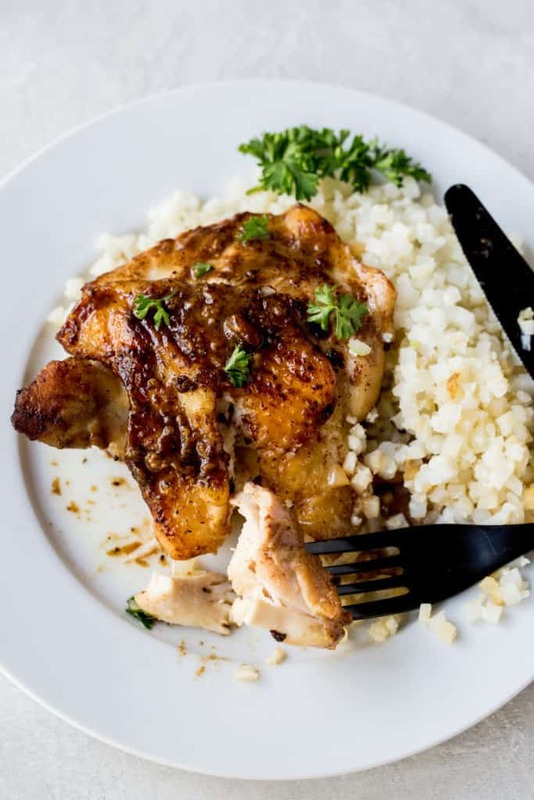 As our lives get busier, our recipes get simpler, and this One Pan Chicken Thighs recipe is a major go to for us as of late! We've kept the recipe as simple as possible with some fresh lemon so you can jazz it up with whatever seasonings or veggies you have on hand. Just add them to the lemon sauce and cook them on the stove top until tender. How big are your chicken thighs? Did you get bone-in or boneless? Did you unroll and flatten out the chicken thighs? The smaller the chicken thighs, the less time you will need to cook them. If your chicken thighs are boneless they will cook quicker and if you flatten them out when you sear them they will cook even quicker! The easiest way to make sure your chicken thighs are fully cooked is to check the internal temp with a meat thermometer. We use this one! What To Make With Chicken? ​Sometimes we like to go hard on the meat so I'll have two thighs and Matt will have three, but we also like to change it up with some filling sides. While Matt's personal favorite side for this recipe would be creamy cauliflower mash, having the lemon sauce act as gravy, I would much rather go for a couple slices of coconut flour bread! Maybe even make a messy lemon chicken sandwich. The majority of the cooking time is hands off, so it’s a perfect weeknight dinner meal when you’re trying to get chores done or helping your kids with their homework. Make this One Pan Chicken Thighs recipe tonight and tag us on Instagram with your family! 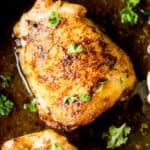 Recipe can be quickly added to MyFitnessPal - Search "KetoConnect - Lemon Sauce Chicken Thighs"
Preheat oven to 350 and heat a cast iron skillet over medium heat. Add butter to skillet. Once butter is melted, add chicken thighs skin side down to skillet and cook for ~6 minutes. Remove chicken from skillet and place on a plate. Add garlic to pan and saute for 1 minute until fragrant. Add lemon juice & broth to deglaze. Add chicken back to pan. Place skillet in the oven and bake for 25 minutes or until internal temp reaches 165F. Top with parsley and serve with cauliflower rice or other low carb vegetable. Best stored in air tight container in the fridge up to 5 days.